I’ll be along with a new photo and some writing I’ve been thinking about for a couple of weeks now, but for now just a note that I’ve refreshed my gallery stock. At Frog Hollow in Burlington, Vermont I’ve added some framed prints and a new pile of smaller matted prints. 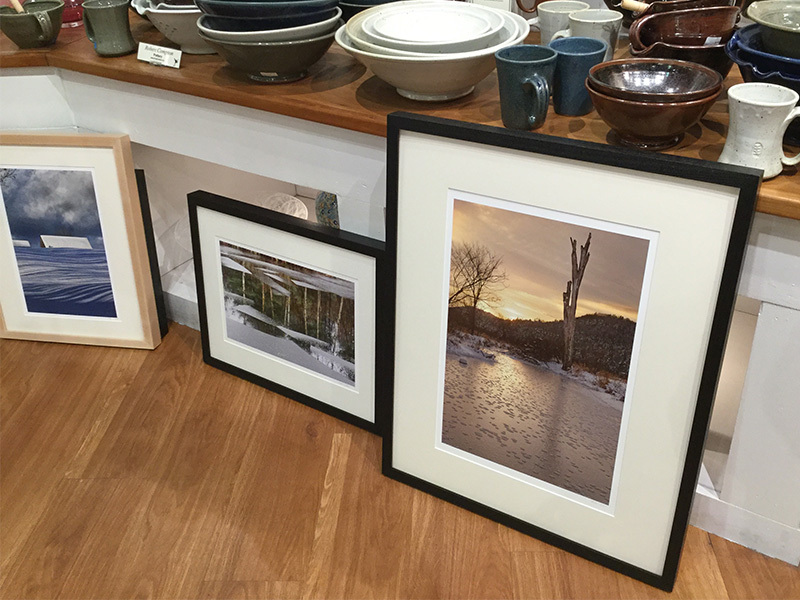 I’ve also refreshed the framed prints at Long River Gallery in White River Junction Vermont, and I’ll be bringing more smaller matted prints there over the next couple of days and week. I’ve been busy printing, matting, and framing, and I’m not done yet! This entry was posted in Galleries, Vermont on November 30, 2017 by john lehet.